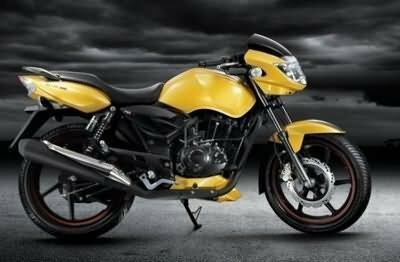 New variant of Apache has been launched by TVS Motors – TVS 180 RTR Menace. The bike looks the best in its class and the price has also been kept very competitive. The bike looks great and the quality is also good. You can surely invest in this bike. 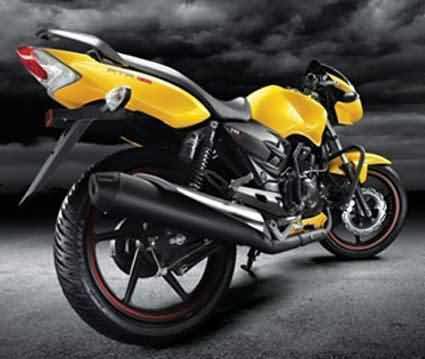 TVS 180 RTR Menace comes in four sizzling colors – Black, Yellow, Grey and White. RTR is emblazoned boldly on the tank scoops. The stylish 6 spoke Mag alloy wheels, classy silencer, large fuel tank give a sporty look to the bike. The broad headlamp, LED tail lamps are really eye catching. TVS 180 RTR Menace has many comfort features. The self start bike has Digital Fuel Gauge, Analogue Tacho Meter, Digital – 2 Trip Meter, Digital Speedometer and Passenger Footrest. Other comfort features include Step-up Seat, Pass Light, Low Fuel Indicator and Low Oil Indicator. TVS 180 RTR Menace has advanced safety features. The petal shaped disc brakes not only look good but also provide efficient braking. The wider rear tyre provides more stability and control while driving. The specially developed race crouch mirrors provide better angle and safety. The bike has telescopic Forks (Front) Suspension and Gas shocks and Rectangular Swingarm (Rear) Suspension. TVS 180 RTR Menace has 177.4 cc, single cylinder, air cooled, 4 stroke engine. It produces a maximum power of 17.3 bhp at 8500 rpm and a maximum torque of 15.5 Nm at 6500 rpm. The aerodynamic air scoops add to the design plus it ensures air is directed towards the engine unit to help better cooling efficiency. The price of TVS 180 RTR Menace is Rs. 76,500 (taking Mumbai as base price location). However, the price specified is indicative price only and reflects lowest approximate price which excludes tax, registration, insurance and cost of accessories.